The General Assembly of Partners (GAP) undertook its second round of elections for co-chairs of the Partner Constituent Groups (PCGs) and for the GAP presidentunder the supervision of GAP Electors, Judith Hermanson (Civil Society PCG) and Louise Plouffe (Older Persons PCG) following the GAP Constitution specifications and the GAP Terms of Reference for elections.This process entailed receipt of nominations for PCG co-chairs to serve terms 2018-2020,circulation of candidate statements to their respective PCGs, and then balloting. GAP was well-represented at several side events held in conjunction with the HLPF at the UN this past July. While this article cannot cover them all, here are some examples that illustrate the breadth and depth of multi-stakeholder partnership platforms and the strength of individual PCGs. GAP co-sponsored along with the Mission of Slovakia, UN Habitat, The Huairou Commission, the NGO Committee on Sustainable Development-NY, Women’s Environment & Development Organization (WEDO), Mediators Beyond Borders International, and the Habitat Civil Society Working Group, a session entitled: “Alignment through Partnerships for Goal 11 & the New Urban Agenda.” Speakers included: Ambassador H.E. Mihal Mlynar, Permanent Representative to the United Nations from Slovakia; Ms. Maimunah Mohd Sharif, Executive Director, UN Habitat; Commissioner Mitchell Silver, New York City Department of Parks, Carol Lamberg, President Emerita, Settlement Housing Fund and author, Neighborhood Success Stories (2018); Margaret Neumann, Principal, ARUP; Alexandra Hiniker, Strategic Relations Manager and Program Director, Global Vision, Urban Action, Mayor’s Office of International Affairs, New York City; and Thomas Forster, Coordinator, “Guiding Principles for Urban Rural Linkages,” UN-Habitat. Violet Shivutse, co-chair, Farmers PCG, Sandy Schilen Executive Director, Huairou Commission and Genie Birch, President, General Assembly of Partners (GAP) served as chair, discussant, and moderator respectively. In addition, other larger convenings included GAP leadership and participation. Emilia Saiz, co-chair of the Local Authorities and Subnational Governments PCG and Secretary-General, UCLG, organized the daylong Local and Regional Governments Forum focusing on the localization of the SDGs. She also assisted the UN Secretary General’s office in framing its meeting, “Local 2030, Local Action for Global Commitments.” Bruce Stiftel, member of the Research and Academia PCG and on the Steering Committee of Habitat UNI was a featured speaker at the Higher Education Sustainability Initiative, sponsored by UN Habitat, UNEP, and UNESCO. GAP members and co-chairs were present at several events sponsored by UN-Habitat at which the Executive Director, Maimunah Mohd Sharif, discussed UN-Habitat’s upcoming Strategic Plan 2019-2022, expected to be unveiled in April at the Governing Council meeting. She spent a good deal of time at these sessions that included a Partners Meeting and another Partners reception, reviewing ideas for stakeholder engagement that will find their way into the Stakeholders’ Engagement Framework mandated by the Governing Council in 2017. 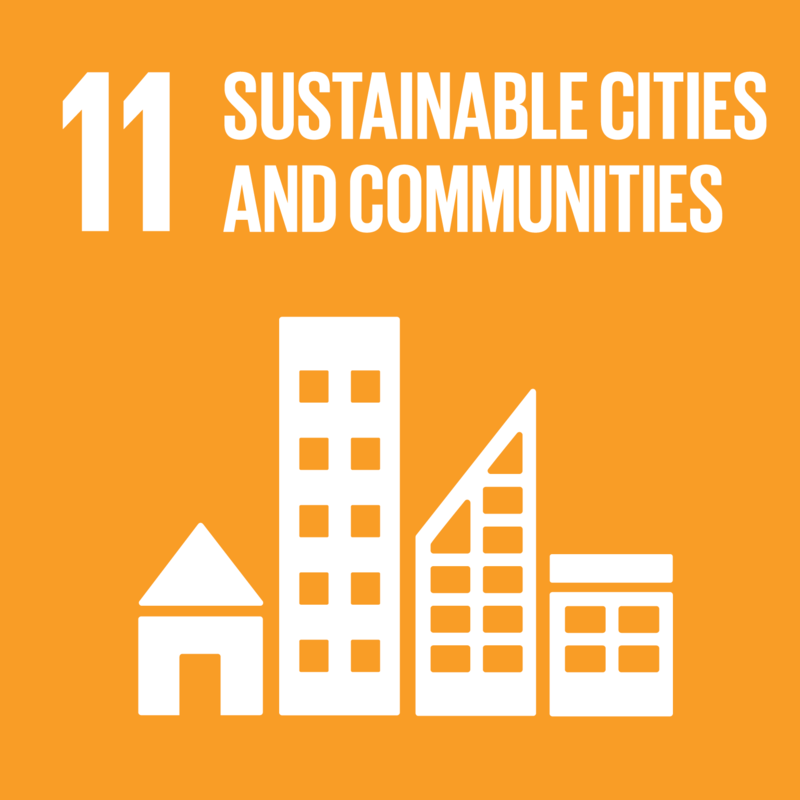 GAP is an independent, self-organized engagement platform focused on the implementation of the New Urban Agenda (of which UNH is the focal point) and by virtue of this, is focused as well on implementation of urban-focused aspects of other global agreements, most particularly the Sustainable Development Goals, particularly SDG #11 on sustainable cities. As an independent platform, GAP as a whole or through its PCGs work with other agencies on relevant topics for the implementation of the New Urban Agenda. We will develop general guidance for such participation but the assumption is that these alliances will develop organically, be transparent and shared with the GAP ExCo and general membership. For example, right now, the Farmers’ PCG is working with Rome-based agencies on rural-urban linkages/food security; others are working with other agencies. GAP cannot work with all of the agencies but it can develop partnerships with ones for which there is interest. GAP has a Constitution, by -laws, and Terms of Reference that outline its workings and functions. Currently, secretariat functions are being performed via volunteer contributions. GAP does not have ECOSOC consultative status. GAP urges its members to seek such status and to participate in the major group and other stakeholder structure in the UN. Currently, GAP is composed of 1,200+ unique organizations representing 58,000 networks, and some 400+ individual members. Each member (organization or individual) belongs to one of 17 PCGs. The World Urban Campaign (WUC) is the advocacy arm of UN-Habitat. As such, it has been part of the UNH work program, meaning that the UNH budget paid for an employee to provide secretariat functions. UNH is currently assessing the role of WUC, along with other stakeholder groups. WUC has launched a number of successful initiatives namely, the Urban Thinkers Campuses and GAP. WUC is governed by a Steering Committee as well as the assembly of all members. It consists of voting members (Lead Partners and Sponsors, numbering about 45 entities who sign Memorandum of Understandings (MOUs) with UNH) and has other classes of members (Associate, Media) numbering approximately 140 entities who may attend meetings, use the WUC logo but who cannot vote. The Steering Committee serves as an advisory committee to the UNH Executive Director. It has an executive arm, - the Standing Committee, - that establishes the Steering Committee agendas, handles lead partner applications, and reviews partner reports. WUC does not have ECOSOC status. As GAP looks forward to the next few months, it is focused on developing activities for Urban October. The Business and Industry PCG co- chair Danielle Grossenbacher and Professionals co-chair, Nicolas Buchoud are orchestrating a multi-stakeholder dialogue on urbanization and affordable housing to take place simultaneously in Paris, New York and Jakarta on October 1. The New York based Habitat Civil Society Working Group, in which GAP PCG co -chairs and members participate, is coordinating activities with UN-Habitat’s NY Liaison Office headed by Chris Williams. Among them will be a session on smart cities featuring an exchange from a Swedish delegation representing Hammarby and a viewing of the Fourth Regional Plan for New York at the Center for Architecture. Other sessions are in the works for the month.